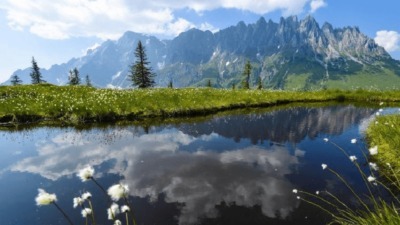 Is that a Geocacher in Your Rear View Mirror? Geocachers might be easier to spot in Ontario, Canada than anywhere else on earth. 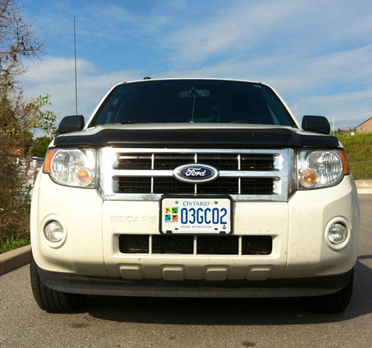 The province approved the world’s first official Geocaching.com branded license plate. A Geocaching.com license plate was one of the attractions at the 2012 Geocaching Block Party. It was proudly showcased in the “Geocaching Museum.” It rested among other unique items from the history of geocaching. Exhibits included the world’s first geocoin, a log book from an original Project A.P.E. cache and a Travel Bug that spent some time on the International Space Station. These unique license plates (which also feature a “GC” license plate number) are now available in Ontario, Canada. 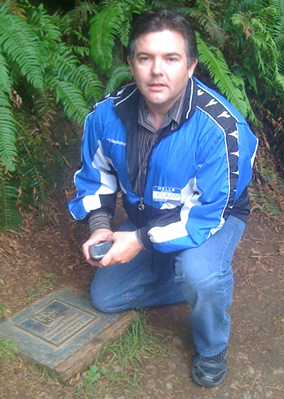 Local geocacher Roy Alexander aka RCA777 spearheaded the initiative. Roy says, “The Ontario government have offered graphic license plates with logos of professional sports teams for a few years. The graphic license plate program expanded and other organizations were also beginning to offer graphic license plates. I was certain that geocachers in Ontario would appreciate their own geocaching license plate … and the Ontario Geocaching.com License Plate Project was born”. After contacting Geocaching.com and the Ontario government to confirm the process and work through the details, Roy reached out to the Ontario geocaching community for their support. Roy is also an active community member within his local Central Ontario Geocachers group (COG). 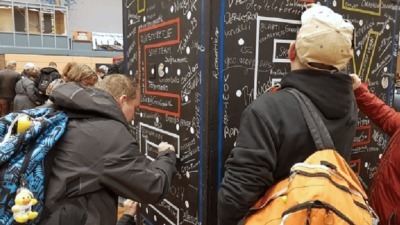 Through monthly events and their annual Mega-Event, COG spread the word of the project across the province. Other regional groups also helped to spread the word, echoing the message of the project within their community groups and discussion forums. 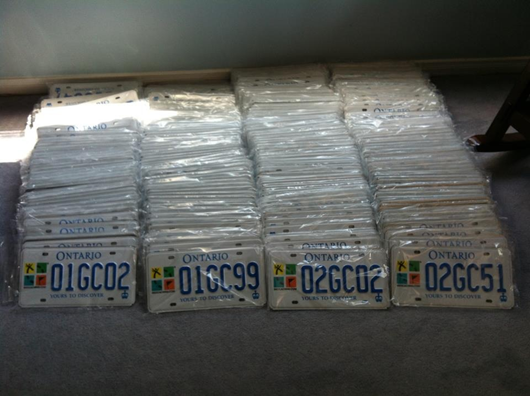 To keep everyone informed, Roy created a Driven to Geocache website as well as an Ontario license plate Facebook group. At the Geocaching Block Party, Geocaching.com received special delivery of their own license plate from Roy. As the Lily Pad is located at Latitude 47 (hence the name of our blog), it seemed appropriate that our license plate would be 01GC47. 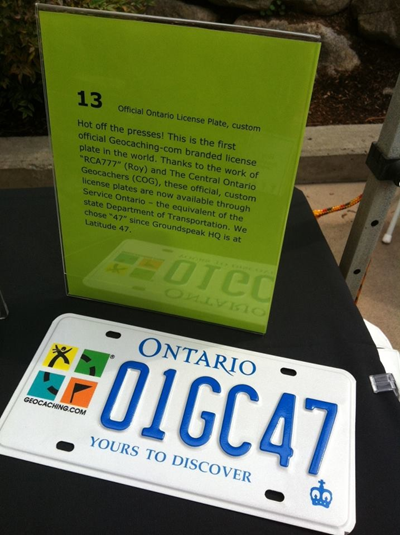 Geocaching.com branded license plates are now available to all Ontario residents through the local Service Ontario offices, who handle driver and vehicle licensing. Make sure you understand all the requirements from your official agency. Ask Geocaching.com for official permission to use the logo. Early on, agree on a foolproof way to allocate license plate numbers within your group. The first numbers (01, 02, 03…) and the doubles (77, 99, etc.) will most likely be very popular. 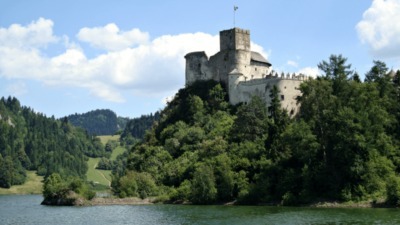 Create an easy way for group members to communicate with one another.